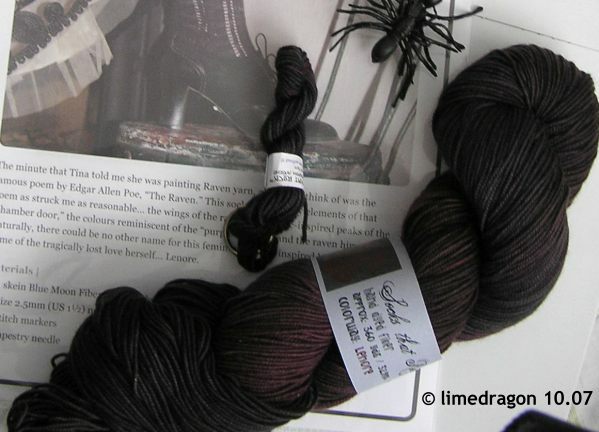 I have been quite delinquent on showing some of the nice yarns added to my stash during the past few months. Here’s a catch-up! Back in June, Dad traveled down to NC for a family wedding and brought back a few skeins for me (thank you!). I think Cousin J (Hi!) helped him pick out these. I love the different shades of brown. 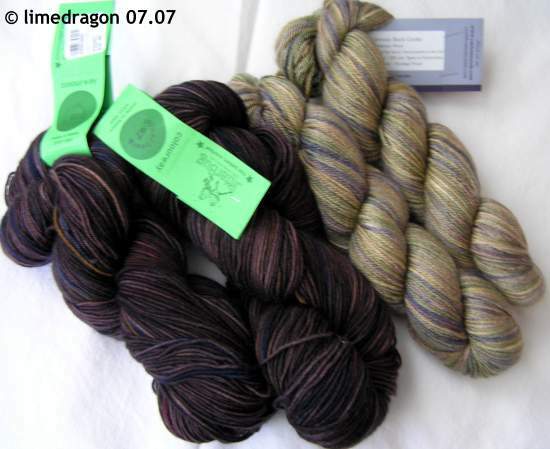 The two darker browns are Colinette Jitterbug, and the two on the right are Curious Creek Fibers Omo. 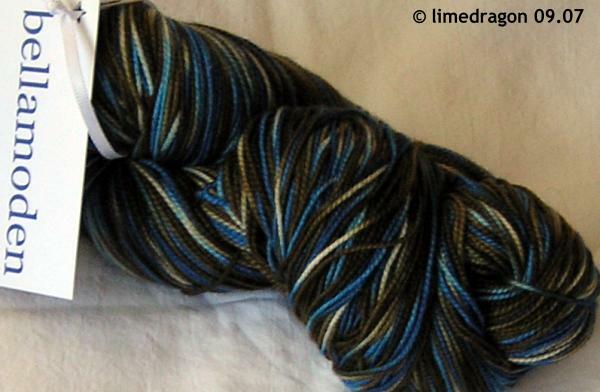 I’m thrilled to finally have some Jitterbug and would love to knit some knee-highs with it. 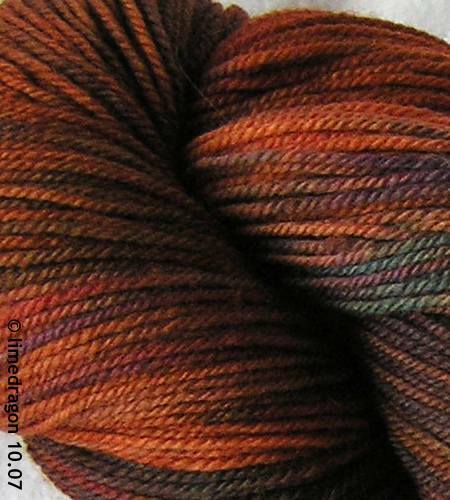 Curious Creek is new to me, and the yarn is pure luxury, a 50-50 silk merino blend. 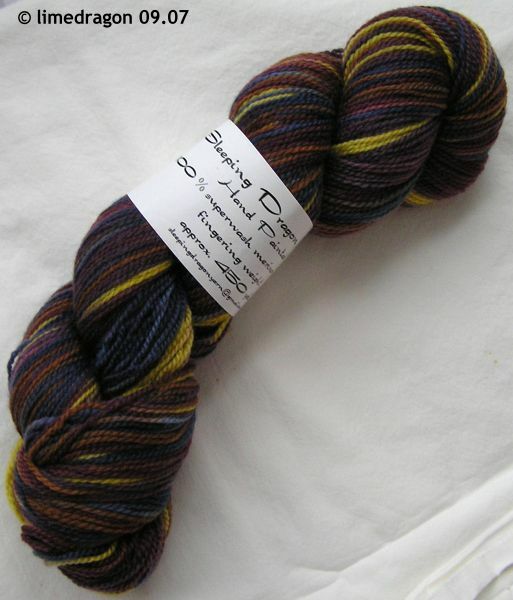 Next up was the Simply Socks Yarn Company’s premiere sock club. The focus was on Small Dyers; I was excited to try this out since I hadn’t used or stashed any of the yarns from the dyers included in this installment. 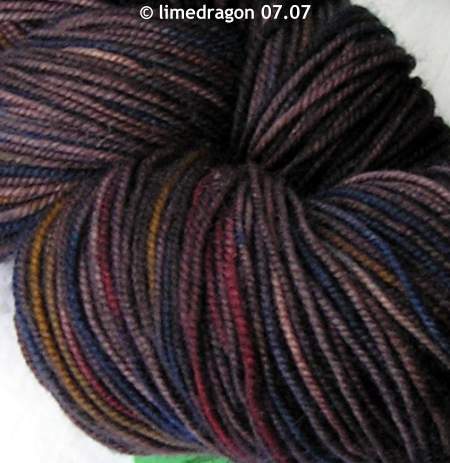 I love the “Bramble” colorway from Sleeping Dragon because it reminds me of U of MN students wearing maroon and gold sweatshirts with jeans. The red one you’ve already seen�I used it for the Elegance socks I sent to my second Sockapalooooza pal. The Dream in Color was my favorite, even though orange rates low in my color preferences. It arrived during the peak of Autumn and seemed to match the weather perfectly. In September, <a target=”_blank” title=”Bellamoden (New Window)’ href=”http://bellamoden.wordpress.com/2007/09/03/be-the-change-you-want-to-see/”>bellamoden announced her new Etsy shop with her hand-dyed yarns. 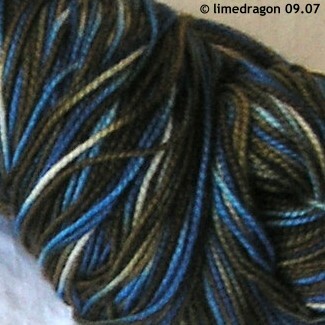 I was thrilled with this gorgeous “Like Water for chocolate” colorway! If you haven’t seen her beautifully dyed yarns yet (they’re now available at The Loopy Ewe too), tarry no longer! 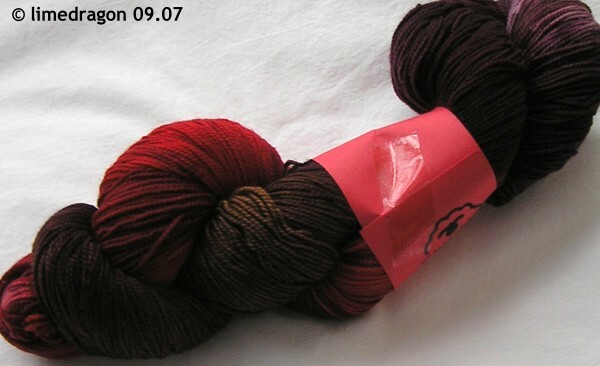 This is the yarn Mom won during the local Shop Hop. I love how soft the Cascade 220 Superwash feels. The persimmon and teal were perfect colors for Cousin M, so we included them with her birthday gifts last month. Last, but not least, this will be a sight already familiar to many: the October shipment of the BMFA Rockin’ Sock Club: Lenore. It’s a lovely color, brown with hints of mauve. Wow! You have some great looking stuff there! Enjoy knitting it all! I love all of it. 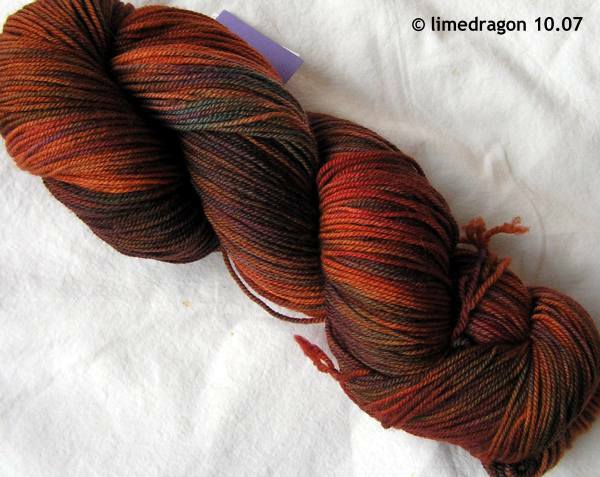 How do you decide what to knit next? Lovin’ the bramble…not to mention the name sleeping dragon. So cool. Nice stash enhancement going on here. I really like the Bramble, too. It looks like it would make some great cozy socks. I think the Bella color is my favorite. 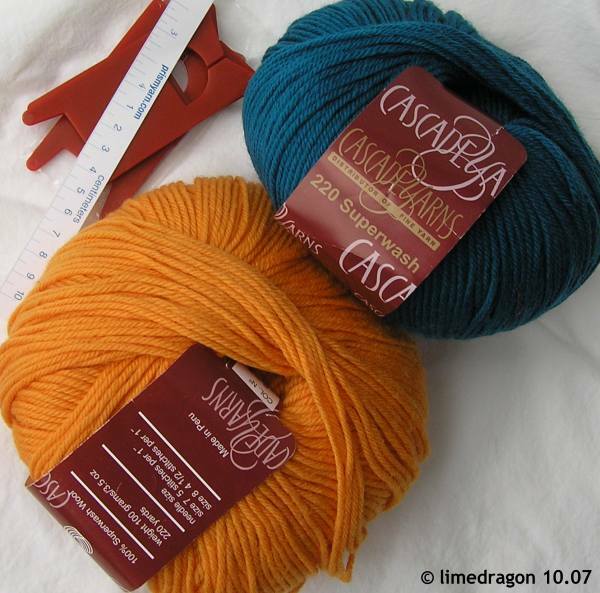 Are you going to make another hat with that Cascade Superwash? Nice stash additions! Jitterbug is really nice. I wish my dad brought yarn home to me!! Nice stash enhancement! That Water for Chocolate colorway is dreamy. oooooh, what lovely additions to your stash! I really like the deep red (blood red?) from Amy… and the orangy yarn too. But they are all be-a-utiful! Very pretty yarn! 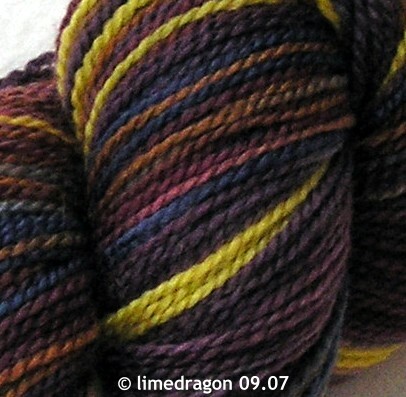 I need to stop look at peoples’ yarn pics because it just makes me want to buy more sock yarn that I do NOT need! The Bramble really is pretty!! Hard to say which is prettiest, really. But what is that many-legged thing in the upper right corner of the last photo? It looks both yarn-like and scary. Have we hit 2k yet?